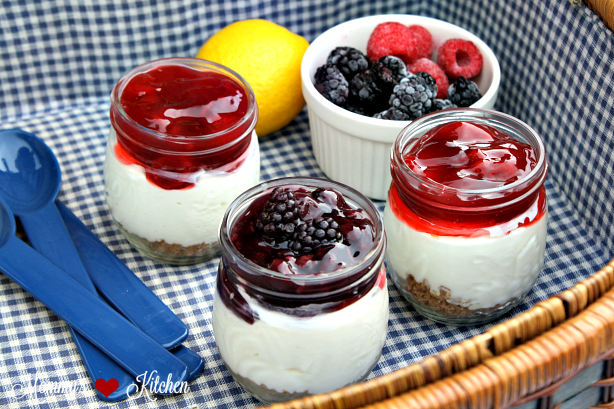 Quick and easy 🍒 No-Bake Lemon-Berry Cheesecake prepared and served in small mason jars. Independence day is coming up next week! 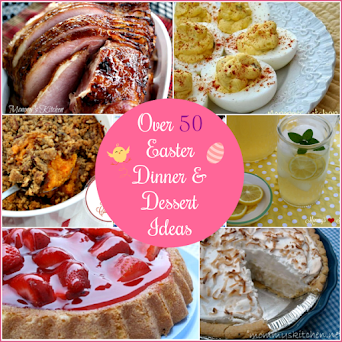 Are you looking for an easy dessert to share with family and friends? 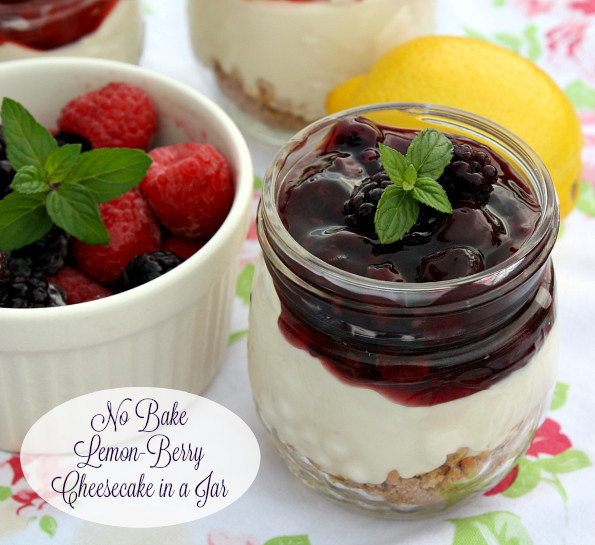 Well, if you are I have you covered with these quick and easy No Bake Lemon-Berry Cheesecake in a Jar! 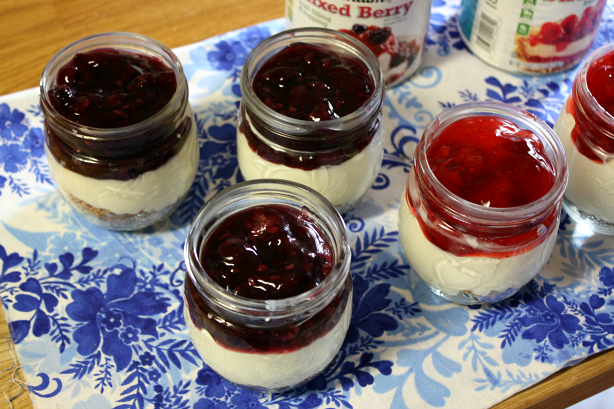 I love these little cheesecakes because they're perfectly portable in small mason jars, making them an easy option to serve on your 4th of July cookout or barbecue. These little cheesecakes start with a simple, no bake graham cracker crust, a thick and creamy lemon cheesecake filling, topped with Lucky Leaf® Premium Mixed Berry & Strawberry Fruit Topping. 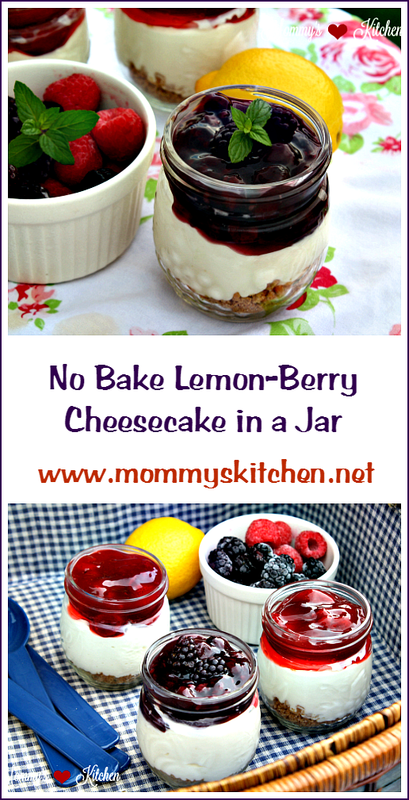 When it comes to no bake desserts I need them to be simple and fuss free. That's why I love Lucky Leaf. All of their fruit fillings and topping are convenient, versatile, contain no high-fructose corn syrup and each can of fruit filling is packed with a lot of fruit. 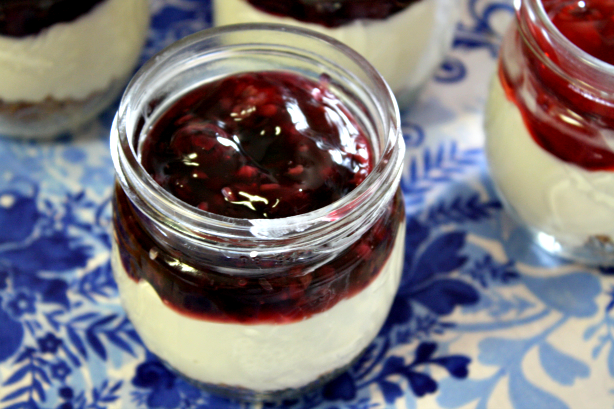 Since these cheesecakes are no bake you can have them ready to go in about an hour. 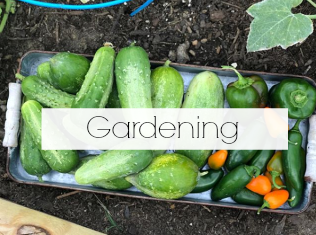 Once assembled just twist the lid on each jar, refrigerate and pack in a cooler of ice. 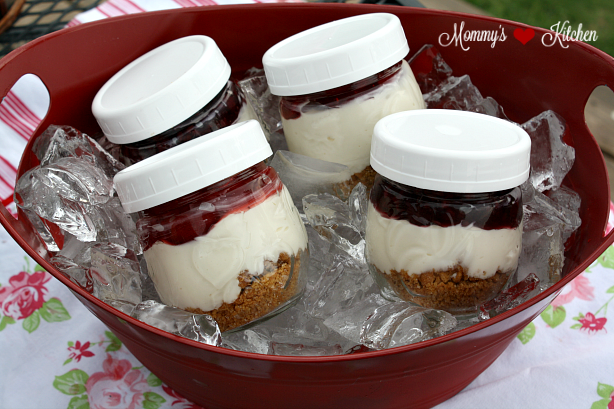 These mason jar cheesecakes transport easily to your barbecue or cookout. I chose a mixed berry and strawberry fruit topping, but any Lucky Leaf, fruit topping can be used, so pick your favorite. Next on my list is red raspberry, cherry and lemon. I have included some step-by-step photos to show you how quickly this single serve cheesecake came together. Let's get started. To assemble the cheesecake, spoon 3 tablespoons of graham cracker crumbs in the bottom of an 8 ounce mason jar (packing down the crumbs). Add 3-4 tablespoons of the lemon- cheesecake mixture on top of the graham cracker crumbs and level. 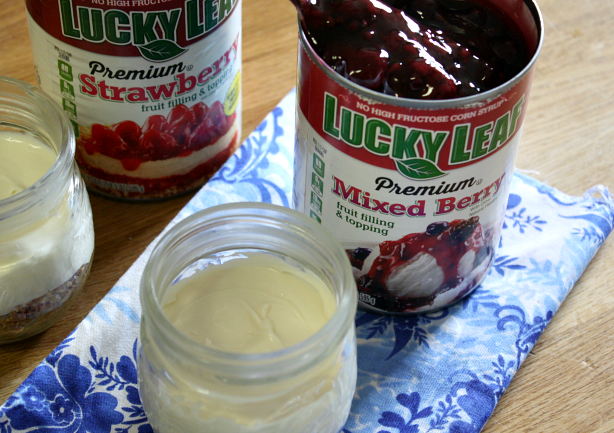 Spoon 3-4 tablespoons of Lucky Leaf premium mixed berry or strawberry fruit filling over the cheesecake mixture (look at all that fruit). Repeat with the remaining mason jars. Add the graham crackers in a large zip lock bag and crush using a rolling pin. Pour the graham cracker crumbs into a large bowl. Mix in the sugar and melted butter until blended; set aside. Place the softened cream cheese in a large bowl and beat (using and electric mixer) until smooth and creamy. Add the vanilla extract, lemon juice, lemon zest and confectioner’s sugar and blend again until combined. Whisk the heavy cream in a separate bowl until thick and stiff peaks form. Combine the whipped cream to the cream cheese mixture and lightly fold until blended. To assemble the individual cheesecake, spoon 3 tablespoons of graham cracker crumbs in the bottom of an 8 ounce mason jar (packing down the crumbs). 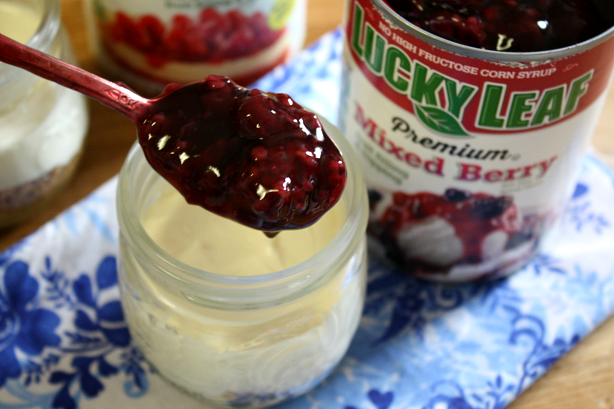 Spoon 3-4 tablespoons of Lucky Leaf Mixed Berry fruit filling over the cheesecake filling. 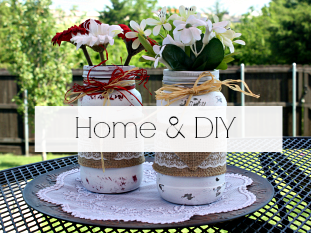 Repeat with the remaining mason jars. 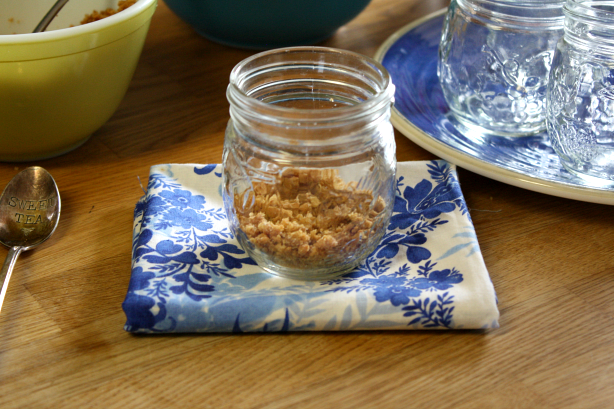 Cover with the Mason jar lids and refrigerate until ready to serve. These individual cheesecakes pack wonderfully in a cooler with ice. 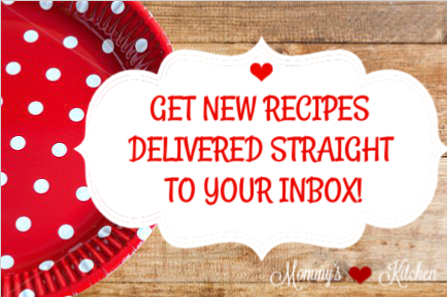 Visit the Lucky Leaf website for more delicious recipe ideas! 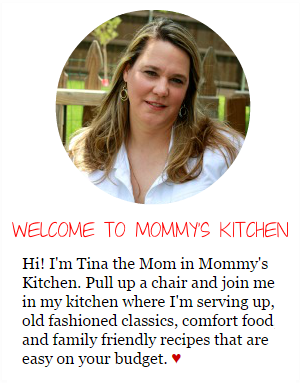 You can also follow along on Facebook, Twitter and Pinterest! YUM! What a fun dessert for a summer bbq. I can see these going great with an All American BBQ gathering. I am sure guests would love them! Oh, these look delicious and perfect for summer. I love how you made them personal sizes. I just might try these over 4th of July holiday. Oh my, that looks and sounds fun and yummy. I love baking, but I've never tried baking in a jar. This looks so easy. This is something I should try with the girls. These are so cute! They sound really good too! I have to try to make this for my family soon. They look like they are almost too pretty to eat though and your pictures are stunning! I love the bright colors and set up! These look so yummy! I love that they're portable, too...so easy to pack in a cooler to take to a picnic or party. And your toppings are so fun and patriotic...perfect for the fourth! Thanks for sharing this yumminess. They look Yummy - Fantastic and Delicious. Wonderful dessert serving on the 4th. I enjoy serving individual desserts in jars. I have to ask - where did you get them cute little jars? Thanks for sharing the sweet looking dessert recipe. These are so cute and festive looking! 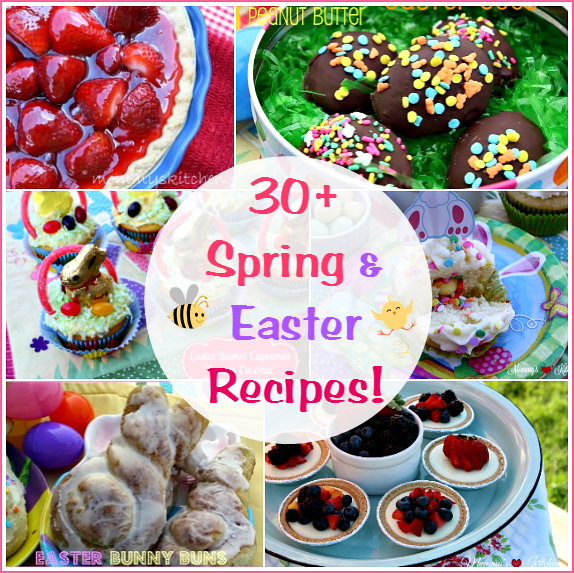 I love the idea of individual desserts, and these look so easy to make and travel with they are perfect for the BBQs we're attending this week! The fruit is such a great idea, it makes them so summer-y! @Colleen, those are vintage jelly jars from 1980 that I got from my late mother in law. They were still in the box and never used :) I was so excited when she gave them to me years ago. They're one of my favorite jars. I always cut too big a piece of cheesecake. (I can't help myself because it's so delicious.) 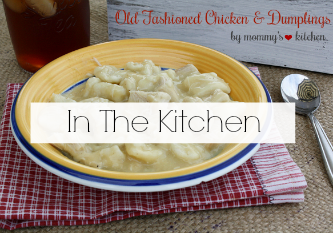 This will be a perfect way to eat smaller yummy portions and share with family. The recipe does look amazing. I think I will have to try this out. Only I will try to make my own fresh fruit topping for it instead of using a canned variety. It does sound a bit like a moose with the folding in of the whipped cream. I can imagine that it would taste amazing. These look sooooo Delicious! I must head to the supermarket ASAP! This is definitely something I'd make a bunch of just to have some grab and go deserts. I'd love to switch up the fruits and get some different flavors too.